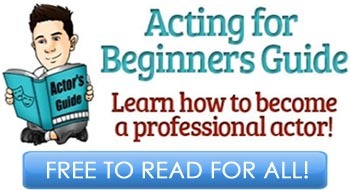 Now, as you have been quickly introduced to the world of professional acting, let’s take a look at your very first steps to start an acting career. 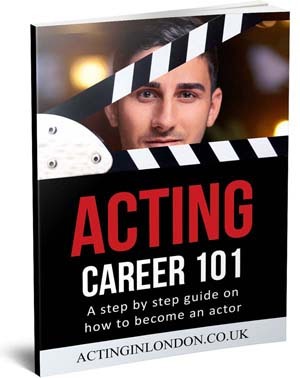 Whether you have graduated from one of the top drama schools or just decided to go straight into the business of acting will not matter; the beginning is the same for everybody, and taking the right first steps to avoid screwing up your future career is vital. 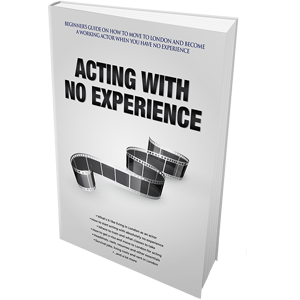 It’s recommended to read some of the introductory articles we have available on The Guide to learn what the acting industry is really about: How to Start an Acting Career, Short Overview of Acting Training Options and Business Plan for Your Acting Career. If you’re one of the students who have just graduated from a drama school, congratulations and forget about it — it won’t make much of a difference if you didn’t get the agent after your drama school showcases. You might be a well-trained actor, but in the eyes of the acting industry, professionalism is what rules everything. While having a degree from a drama school matters more in the United Kingdom’s market than it does in the United States’s market, aspiring actors beginning to seriously pursue this occupation and making the first steps to start an acting career are pretty much equal. All the advice below applies equally to every newcomer in the entertainment business, trained or not. First thing you have to consider before anything else is moving to one of the major cities for theater and film work. It might not be possible right away, but make it one of your primary goals to accomplish as soon as you can. Most of the opportunities lie in those huge cities like London, Los Angeles and New York, and if you are very serious about succeeding in this business, you better consider this commitment. As soon as you have moved to Los Angeles, New York or London, take a deep breath. Your journey, it has begun. First thing you need to do is research. It’s usually better if you do this even before moving, but if you didn’t, well, there’s no way around it anyway. Spend a few days on the Internet, marking out places like: acting classes, private coaches, dialect and accent coaches, theatres, acting Universities, local drama groups, community theatres, improvisation groups, film acting courses, headshot photographers, demo reel (showreel) editors, talent agencies (and names of head agents), casting websites, and so forth. Print these lists or keep them on the Desktop of your laptop. You always need to have them close by for reference. It is very likely you will be going to most of these places that you’ve researched for making connections and networking, taking classes and coaching, getting marketing tools in order and so on. All of these things are part of your very first steps to start an acting career successfully and from the right foot. Also, don’t forget to read websites like TheStage and Deadline Hollywood, where you can learn a lot about the business side of acting. This above sums up your first year; these are your first steps to start an acting career, and they are the right ones. You need to settle down in the city and get comfortable with an actor’s work life, which is survival job during the day and acting classes in the evening and on weekends, with occasional audition or filming/rehearsal on your time off (sick days?) work. It’s not easy to balance these things and that’s the primary reason why you need to take a year to get used to how this whole “acting thing” works. Once you get a grip on the industry, things will get into a (almost) regular flow. Important note: A lot of drama school graduates (particularly in the UK), often opt-in for the life of small theater plays. What this means is that as soon as they enter the business, they skip all of the steps above and join a small theatre company and then continue touring for the upcoming years, maybe even for the rest of their lives. Now there is nothing wrong with that if that is your priority, and if this makes you happy, then you’ve accomplished everything that you wanted to — congratulations. However, most of the advice on Acting in London is aimed at actors pursuing the bigger break in the acting industry, which usually means huge Broadway and West End plays, and lead parts in big budget movies. So if you’re one of latter ones, continue reading. This question of “stage or screen?” confuses some actors who aren’t sure either what they want to do or what is better to start off with. The majority of today’s performers want to be in films, and that’s okay. It’s a great industry to be a part of, and it pays a lot more (if you’re a working actor) than theatre does — both in the UK and US, with North America having a significantly bigger share of the film and TV market. The truth is that in the beginning of your journey while you’re still making the first steps to start an acting career, this debate doesn’t hold much weight. Any acting opportunity will do because a) you won’t get that many of them anyway, and b) doing any kind of acting gigs will make you a better all-round performer. 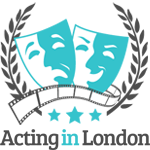 You will often hear older acting teachers who never had much of a break in screen acting saying things like: “understanding audience’s reaction on stage is very valuable for when you’re acting for the screen“. This isn’t true, and most LA-based acting teachers, directors and casting directors will confirm that it isn’t. 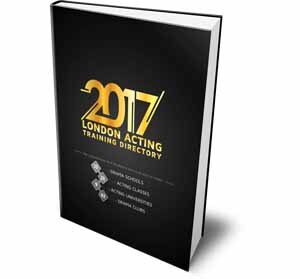 Hypothetically, as soon as you start pursuing screen acting will all seriousness, and you have been a stage actor before that, you are very close to starting from the beginning because screen acting is very different from stage acting (this is discussed in Acting in London handbook, available below). London and New York still appreciate an actor’s work in theatre when applying for screen jobs but it doesn’t make as much difference as it used to five decades ago; in Los Angeles, theatre credits mean zero (unless you’ve been a lead in Broadway or West End productions). It will be quite a while before you get paid for your first proper acting job. You might try extra work or small parts, but the true pay for a stage or screen performance takes time in this industry. Some people get luckier sooner, others have to wait longer for their small break, but it will come eventually, and it will be in your first year of taking first steps to start an acting career. You can sometimes hear the advice of: “be picky, don’t take the job for the job’s sake” — this is either inexperienced actors talking, or acting tutors who lived comfortable for 30 years having a stable job and don’t have a clue how difficult it is out there for starving (literally) actors these days. In your first years, you have to take any acting job you can get your hands on (this, of course, doesn’t apply to anything uncensored or something that might hurt your future career; you should always avoid these types of gigs). While it’s always better to get acting work that has some publicity and is being reviewed and seen by a lot of people (including filmmakers and agents), such opportunities won’t necessarily come around in your first year. You need to prove yourself to be a) a good performer, and b) a professional in the business. You establish your name first, and then paid acting work with some publicity attached to it will come knocking on your door. Acting is a profession of having fun; this is why you wanted to do it in the first place, isn’t it? It’s alright, everybody wants to have fun at work. The problem is that you cannot afford much of it when taking first steps to start an acting career. Try your best to always stay in shape, conscious and ready to work. Experiencing life is not only about going out every night to do crazy things, it’s more than this. Becoming a great performer and a professional actor is about being able to stay stable on the course you’ve chosen and do as much work as you can possibly manage. Having fun every single day will not help you with this. Maintain your professionalism which directors, agents and CDs notice in performers. One of the harshest truths you’ll come across when you enter this business is that there is a lot of lies and unfulfilled promises here. Everybody is trying to either break into the business or make as much money as possible, which leads to statements that are not necessarily true. This just means that whatever you hear from an entertainment industry professional, always take it with a grain of salt. “We should grab lunch next week!“, “I liked you, we have to work together some time“, “Give me a call someday” “I’ll see what I can do.” and so on. None of these are sincere most of the time, unfortunately, and you simply have to face the fact that you’re alone in this business until you hit gold and break out (then, everybody suddenly try to become your best friend). Another sad reality is that no matter how many times actors have been warned about the hardships of this business, as soon as they begin taking first steps to start an acting career they are surprised by what this profession is really like. They are shocked that after three years of struggle, they’re still working as a waiter/waitress, trying to audition for small bit parts. Yes, that’s how it is for 99% of actors — it takes a long time to get yourself established and known, so you absolutely have to be prepared for it. Otherwise you might be risking a mental breakdown. It’s true that some actors have it easier than others: graduate from drama school, get seen by an agent, and the next thing they know they have a recurring part on a TV show or a lead part on West End. However, this is extremely rare and no smart actor will ever depend their future career on taking this course of actions. It’s simply not going to happen based on the statistics (which are even darker than the probability of you winning a lottery). What does one have to do for this magic to happen, I hear you ask? There’s no secret. For some, it’s the combination of having extremely marketable looks, good connections and a pile of luck (but they might not necessarily hold out in the business for too long). For others, it could be a combination of great acting skills, hard work, professionalism, patience and persistence (these type of actors, once they break into the business, usually go on to have long and successful careers). Which one would you rather be? A 15-minute success or a long standing contribution to the acting world? Think about it. Try giving the book “Thin Ice” by British actor Alan Ford a read. It shows how complicated, interesting and difficult an actor’s life can get at the same time. If you can get yourself into this mental state of “I know how difficult it is but I’m determined to go through hell in order to achieve my dream“, trust me, there will be nothing difficult or scary on your way. Once you’re prepared for anything and everything to come down upon you, and you know that you will still wake up tomorrow to go to your day job and then a class in the evening, and you’ll then submit those applications on casting websites at night and go do the small student projects on the weekened — you are one of the few who’s ready for their big break in this industry. Talent agents and CDs value hard working and professional actors that know what it takes to stay in this business, so make sure you take your first steps to start an acting career with the right mindset and be prepared to fight those battles of rejection.